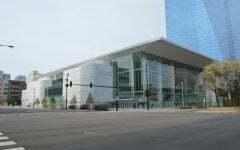 DePaul men’s basketball will fight another day. 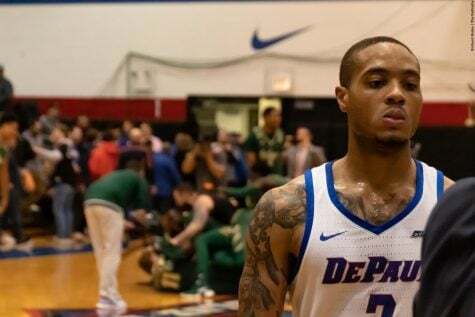 On Sunday evening, the Roman College Basketball Invitational announced its field for the 2019 edition of its tournament and the DePaul Blue Demons are one of the 16 teams that will participate. 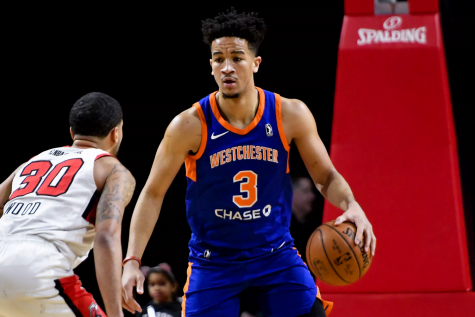 Their first round matchup, set for 7 p.m. on Wednesday night at McGrath-Phillips Arena, is against the Central Michigan Chippewas (23-11; 10-8) out of the Mid-American Conference. Wintrust Arena, the site of all Blue Demon home games this season, is playing host to a private event on Wednesday night hence why the game is at McGrath-Phillips Arena. This is the third all-time matchup between the Chippewas and the Blue Demons with DePaul winning the previous two showdowns. Chippewa head coach Keno Davis was the head man at Providence College from 2008-2011 and has a 3-1 all-time record against the Blue Demons. 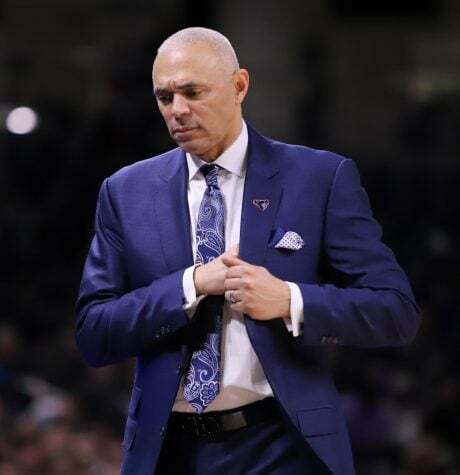 When we last saw the Blue Demons, they were ungracefully bowing out of the first round of the Big East tournament in New York City after a 82-74 loss against the St. John’s Red Storm. 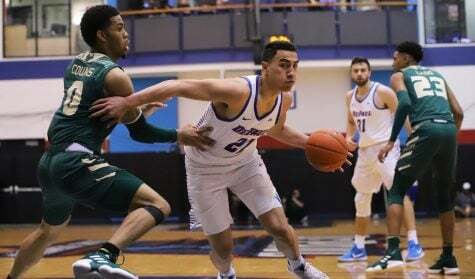 The premature exit coupled with a 15-15 regular season record and a 7-11 record in conference play guaranteed no NCAA tournament for the 15th season in a row for the Blue Demons. 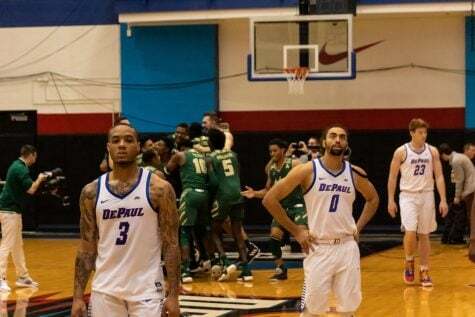 DePaul is the only team in the Big East Conference that made neither the NCAA nor the National Invitation Tournament this season. 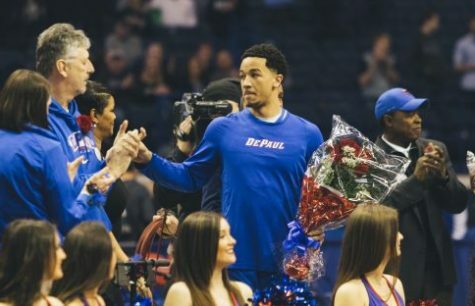 But the CBI bid guarantees that the game last Wednesday against St. John’s wasn’t the last time seniors Max Strus, Eli Cain, and Femi Olujobi will wear the Blue Demon blue, white, and red. The focus now shifts to beating the Chippewas. 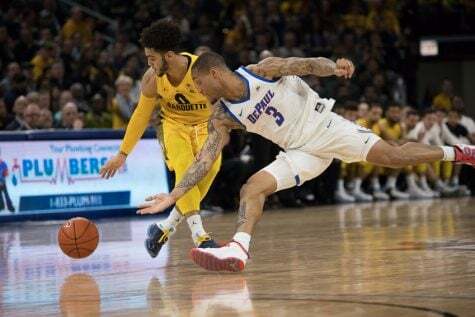 As a five seed, the Chippewas made a run all the way to the semifinals of the MAC tournament before falling 85-81 against eventual champion Buffalo. 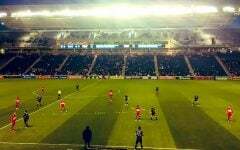 They finished with a 10-8 record in conference play, good for second in the west division of the MAC. 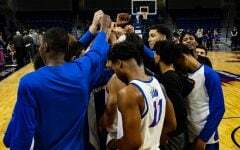 A soft nonconference slate featured zero significant wins as they played just two teams inside of the KenPom top 200 (81-65 win against Sam Houston State on Nov. 28 and an 89-62 loss against TCU on Nov. 30). 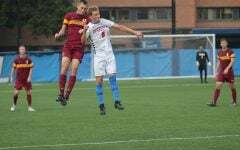 This season marked the first time since the 1960s that the Chippewas finished back-to-back seasons with 20 or more wins and this is the fourth time in the last five years that Central Michigan will play in a postseason tournament. The Chippewas can get it going on the offensive side of things. 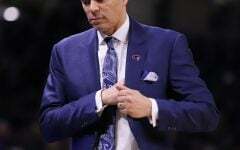 They have the 59th highest adjusted offensive efficiency in the country according to KenPom.com, score the 14th most points per game in the nation (82.6 points per game), and shoot the 3-point ball at a 37.1 percent clip good for 51st in the nation (they have three guys who shoot the ball at over a 37 percent clip from this range). They’ve scored over 100 points four times this season. The Chippewas top six leading scorers are all upperclassmen. Springfield, Ill. native senior Larry Austin leads the way with 17.4 points, 6.2 rebounds, and 5.9 assists per contest (earned Second Team All-MAC and MAC All-Defensive Team honors this season). He played for Xavier and Vanderbilt before transferring over to Central Michigan. Fellow senior Shawn Roundtree supplements Austin’s scoring with 16.6 points per game of his own, while shooting 42.4 percent from 3-point land for the season (second highest in the MAC). He earned Third Team All-MAC honors at the end of the season. The chink in the armor the Blue Demons can possibly take advantage of is that the Chippewas don’t have a ton of size. The average height of their team is 6-foot-4-inches. Their tallest players who have averaged at least 10 minutes per game this season are both listed at 6-foot-7-inches. 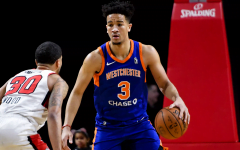 SportsReference.com lists Innocent Nwoko at 6-foot-11-inches but the sophomore averages 5.3 minutes per contest with zero games where he reached double digits in scoring or rebounding. 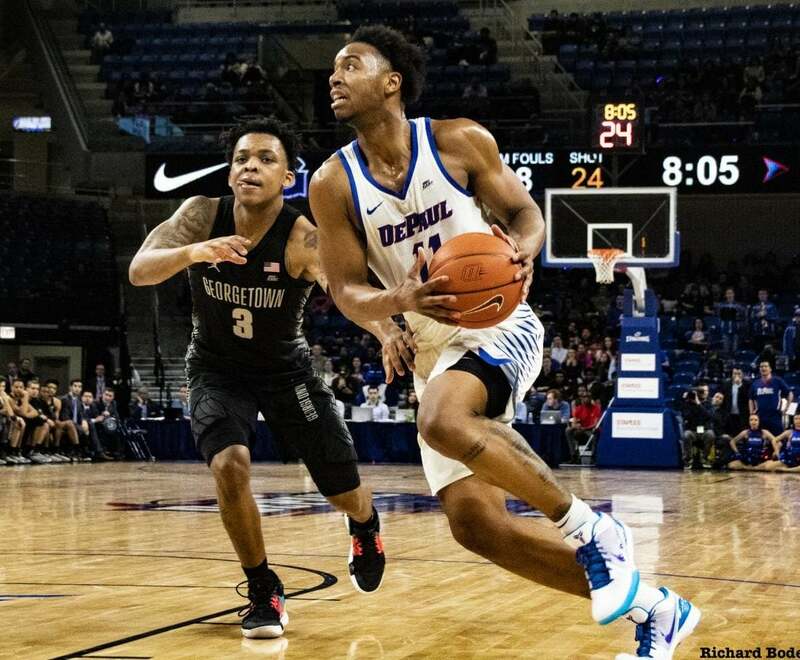 The Blue Demons are 15-7 in games where they outrebound their opponents and 0-8 in games where they get outrebounded. The Chippewas finished 11th in their conference in rebounding margin this season. Perhaps some of the rebounding struggles stem from their emphasis on covering the 3-point line. This season, the Chippewas held opponents to 28.9 percent from deep which was the fifth best in the country. 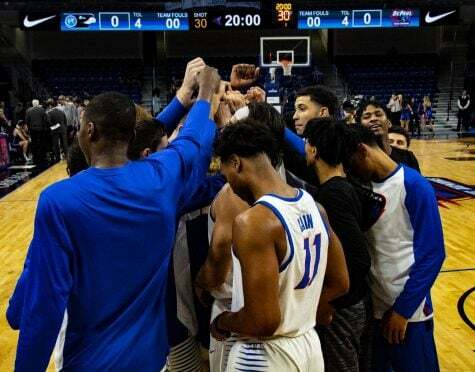 A win on Wednesday night would mean a matchup between the Blue Demons and either Longwood or Southern Mississippi in the quarterfinals of the CBI on March 25.